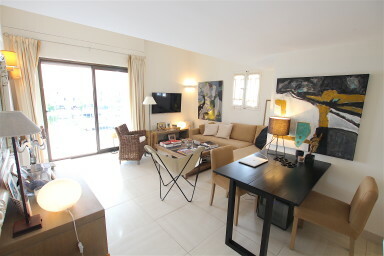 Lovely apartment located in Port Grimaud South. It has been entirely renovated with a great deal of taste. It has been converted into a duplex apartment to make the best of the existing space so that it is now composed on the lower level of a bright living-room, a separate kitchen, a bedroom with its shower-room and separate toilets, and on the higher level, a bedroom with its own shower-room and toilets. On the canal side, a large balcony with a pretty view. At the bottom of the building, a 12m x 4m mooring. An exceptional property ready to welcome you!